Discover inspired living at MiLO at Mountain Park in Lake Oswego, OR. Offering one & two bedroom apartments for rent near SW Portland, our community is designed for those seeking a relaxed environment surrounded by the beauty of nature. Perched high atop the Mountain Park neighborhood, each of our floor plans feature a private balcony with breathtaking views of the Tualatin Valley and include a full-size washer and dryer. 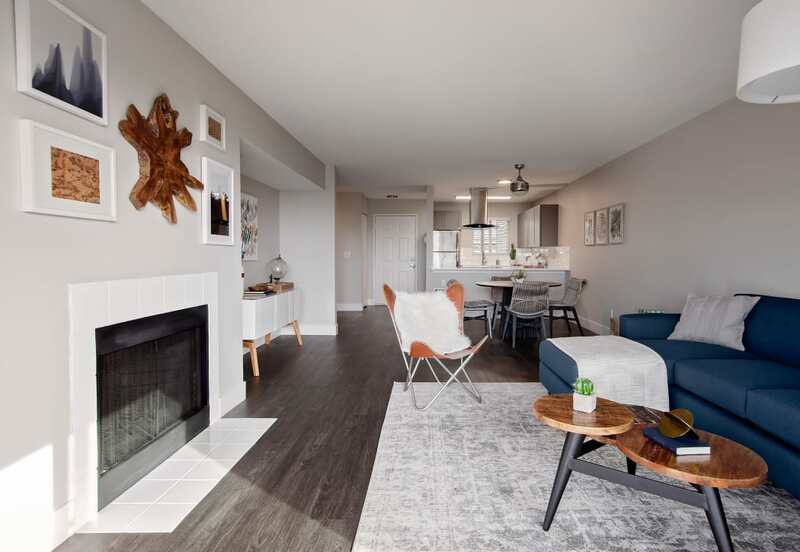 Our floor plans are also equipped with cozy fireplaces, making it easy for you to warm up on a cool day. This is where everyday comfort meets superior convenience. When you choose to lease an apartment at MiLO at Mountain Park, we treat you to luxurious living experiences unique to our property. Recent renovations combined with an idyllic location make our community the top choice for those in search of a modern apartment in LO. Once you’ve had the opportunity to browse our floor plans, contact our leasing office to schedule your personal tour.